Many businesses choose to outsource to save money on everything from payroll taxes to overhead expenses. Many more also enjoy the added bonus of not being financially responsible for the contractor’s safety and wellbeing, including any injuries that occur while the contractor is on the clock. Or so they think. Though independent contractors are technically self-employed and therefore responsible for themselves, there are instances in which an employer can be held liable for a contractor’s injuries. If you are an independent contractor in Florida, and if you were injured on the job, reach out to the Fort Myers workers’ compensation lawyers at The Pendas Law Firm to learn more about what, if any, legal options you have regarding pursuing compensation. If an employee is injured on the job, their only legal remedy is to pursue a workers’ compensation claim. If they are dissatisfied with the employer’s insurance company’s decision regarding the amount of settlement they are to receive, they can bring the claim to workers’ compensation court, but that is about the extent of their legal options. While you, as an independent contractor, do not have the option of filing a workers’ compensation claim, you may actually be better off than employees covered by workers’ comp. Whereas employees are only able to pursue damages under workers’ compensation, and whereas they can only collect certain damages – such as medical bills – as an independent contractor, you can file a third party claim against the company. If your claim is successful, you can collect compensation for medical bills, lost wages, pain and suffering, and any other damages you might have accrued. 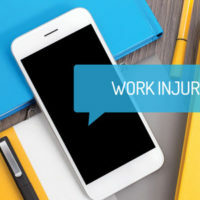 Now, if you work for a company that is contracted to do work for another company, you have two legal options for recovering compensation: 1) file a workers’ compensation claim with your employer’s insurance company and 2) file a third party claim against the company your company is doing work for. You may pursue both of these options, and not just one or the other. However, in order to pursue the second option, you must be able to prove that the employer you are doing work for was negligent, and that their negligence was the direct cause of your injuries. If you are the temporary employee of a staffing agency, the staffing agency and employer you are working for are technically joint employers. As a result, you would not be able to pursue a third party claim, and your only option would be to file a workers’ compensation claim with the staffing company. To learn more about the exact laws dictating the collection of compensation by an independent contractor in the state of Florida, review Florida Statute 440.10. If you are an independent contractor and you were injured on the job, you are not without options. In fact, you may have more legal options to pursue than a classified employee. To make sure that you do not miss out on any compensation, contact the Fort Myers workers’ compensation lawyers at The Pendas Law Firm at 888-LPENDAS to schedule a consultation. The Pendas Law Firm also serves clients in the Tampa, Fort Lauderdale, Orlando, Jacksonville, Miami, Daytona, Bradenton, and West Palm Beach areas.